Corydalis is a flowering herb that is found in Northern China, Japan and Siberia. It is a member of the Papaverceae Corydalis (poppy) family and has sedative, analgesic, diuretic and antispasmodic properties. The parts of the plant that are used to make medicine are the root and the tuber. It is usually taken as a capsule derived from the dry rhizome of this herb, its seeds or it can also be consumed as a tea (but is bitter-tasting). 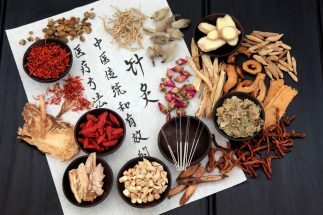 In traditional Chinese medicine, the Corydalis Yan Hu So herb is used to move the qi (the body’s energy), alleviate pain and reinvigorate tired blood. The herb’s Latin and botanical name is Corydalis spp or Corydalis yanhusuo. Lower classifications of the plant include Corydalis cava, Corydalis aurea, Corydalis flavula and Corydalis bungeana. Treating insomnia. The Corydalis plant contains substances that promote relaxation and pain relief. People who took an extract of this herb were shown to have been able to fall asleep more easily. Pain relief. THP (tetrahydropalmatine), an alkaloid that is found in Corydalis, has been shown in preliminary studies to be effective in relieving nerve pain. In fact, some herbalists go so far as to say that it might be the most effective herbal substance in fighting chronic nueropathic pain. This is especially encouraging to those who suffer from neuropathy since there’s no pharmaceutical drug effective against neuropathic pain. Alleviating arrhythmia. Dl-THP, an active ingredient in this herb, may have an anti-arrhythmic effect which helps to improve cardiovascular health. Relieving dysmenorrheal. In some studies, women who suffered from painful menstruation were seen to respond favorably to THP, enjoying its pain-relieving effects. Managing peptic ulcer. It extracts may be effective in helping relieve stomach ulcers. Corydalis is also used to treat cases of mild mental disorders such as emotional disturbance and depression as well as limb tremors and nerve damage. The herb is also used as a tranquilizer and mild sedative. The recommended dosage for Corydalis is around five to ten grams a day when taken in capsule form or ten ml to twenty ml a day when taken as a liquid extract. I find the 10:1 extract powder capsules from Parker Naturals to be a great value. One serving provides 1g of Yan hu suo Root Corydalis to help fight headaches, menstrual pain and back pain. What impresses me is that it’s manufactured in an American FDA-approved facility. and gets top-notch reviews on alternative herbal health sites. Taking this herb may be useful in providing relief from various mild conditions related to the nervous system such as insomnia as well as helping to relieve pain. However, it should only be taken as instructed since taking too much may cause tremors and muscle spasms. Some have even described getting high from corydalis when mixing it with kratom and phenibut. You should always consult with a doctor or other health professional as well as a knowledgeable herbalist before starting with Corydalis in order to avoid negative interactions and other side effects. I find California Poppy very strong. I usually fall asleep quite quickly when I turn off the television and roll over. However, (at 82 years) I wake at least a couple times during the night and it is often difficult to go back to sleep after my trip to the bathroom. It used to be that a valerian cap would work in a few minutes. Then I discovered Impatiens flower remedy, and a dropper of that would almost always do the trick. And I suspected it was much better for me than valerian. However, I seem to be outgrowing those and sometimes do first the essence, then valerian, then either passionflower tincture (tastes gawdawful) or California poppy (equally yummy). But the poppy causes me to be in rather loose contact with all of my brain for the first half of the next day. Does anyone else have that problem with the poppy? I rarely use it, unless I get really mad about lying there trying not to think and decide I don?t care as long as I sleep. Occasionally counting Kegel exercises will take enough attention from my thoughts that I fall asleep. That is a pretty good night. Just a side note, on the days that I spend some time outside with my plants I sleep better and longer. Of course, it is hard to do that without doing a lot of bending over, which fires up my sciatica, making the late afternoon/evening pretty miserable. For me, valerian can be stimulating, but it?s hit or miss. Too much lavender is also quite stimulating. The sleeplessness responds to different things in our house (two adults with not amazing circadian rhythms) depending on the situation. If the culprit is significant worry, a couple drops of something gently uplifting is very helpful. I was able to sustainably harvest mimulus ringens last summer, and that is a big ally for my anxious partner, just two or three drops. We both appreciate withania, especially as we have a young toddler and not enough community. For my own use, it depends on the timing of my cycle. Near the end, I’ve got too much heat, and a wakeful, dark, overactive mind to attend to. Earlier, perhaps nothing is needed. NE purple aster and wild rose leaf seem to be helpful. Scutelaria is also pretty wonderful for allowing me to let go of everything I?m holding in my body. I also really love the mugwort dream experience, but it took a while to get there. I tend to look forward to it these days, unless again it is at the end of my cycle, or a few other factors are at play. Similar to what was mentioned earlier, if I am not settling well, I will count my heartbeats. Counting breaths or anything else is too stimulating. Movement, outside time, and good communication in my life, all help significantly, as well. First, Daily 2 hours before sleeptime: 4 tsp. Ashwagandha w/almond milk.